Add rawa & combine well; if the texture is yet very wet, add a few more spoons of rawa. 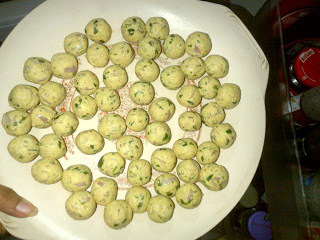 Bind the mixture well & make either cutlets or round balls out of it. Now in a separate bowl, whisk curd with cornflour, salt & water. This mixture should not be be very thick or very runny. 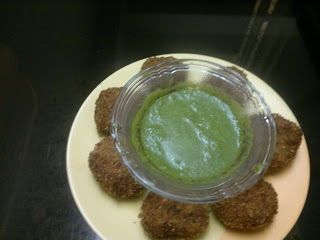 Add green chutney or combination of sauces to this curd mixture & mix well. 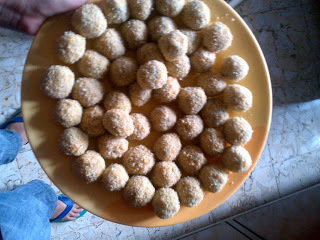 Dip the soya balls nicely 1-2 at a time in the curd mixture, coat with bread crumbs & keep aside. 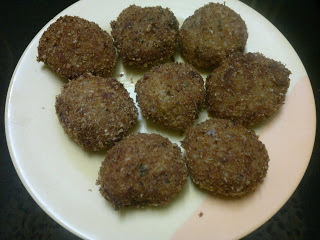 Serve hot with green chutney/tartar sauce or any sauce of your choice. Note – You can also add half cup grated carrots & drain out excess water to add more colour to it. These can be prepared beforehand too, but add more rawa to the mixture if preparing in advance as with time they tend to become softer. Also bread coating should preferably be done a few hrs before serving it.